in Boston. 100% Risk Free. "Thank you to everyone for doing such a great job with our remodel. You came in on budget and on time just like you guaranteed that you would." Unlike most remodelers, when you hire us, you hang onto 50% of the money during your Boston kitchen renovation project. We never ask for full payment until the job is completely finished. Something not quite right after the work is done? We give our customers a “Fix It Or It’s Free” 100% Money Back Guarantee, without loopholes or flimsy excuses, which is good for as long as you own your home! No need to worry about your project going over schedule. We provide every customer with a written, on-time guarantee before we ever begin work and we hold ourselves to that promise! We are proud to offer our "Price Lock Guarantee" with no surprises, no added fees, and no hidden charges. Our quotes are good for a full year. 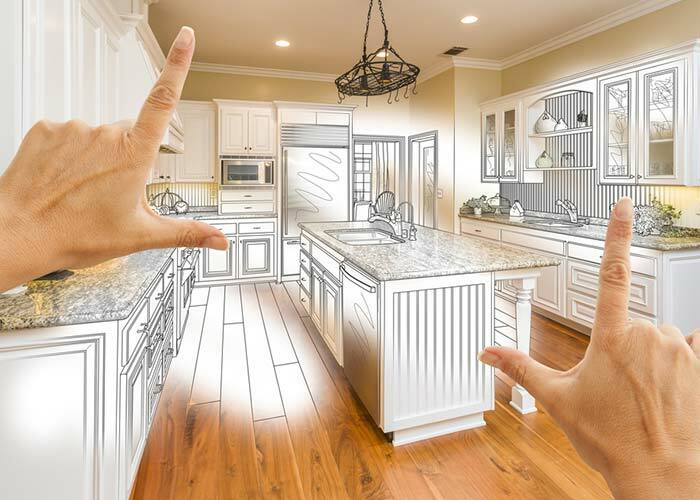 Our company also works with some of the best lenders in the business, working with you to find hassle-free, 100% financing for your kitchen remodel in Boston. We want you to take your time to decide on what’s best for you and your home, so you buy from us only when you’re truly ready for your kitchen remodel to begin. Hi, I'm Sean King, president of Risk Free Kitchen Remodeling Boston. As a 3rd generation contractor of over 45 years, my mission has been to prevent as many homeowners as I can from getting burned by shady remodeling contractors, something that happens far too often, and quite frankly, makes me sick. When you hire Risk Free Kitchen Remodeling Boston, you are doing business with a company that stands for something. Our word is our bond and our commitment to you is unwavering. "We had our kitchen redone including removing a wall to open up the space. Sean and his team are the best. Their designer John had some great recommendations including the wall removal. The carpenters Joe and Bill were really nice to our dogs and our young son Robert. They kept the space spotless during construction and they finished ahead of schedule." What is meant by a risk-free professional kitchen remodel? We are one of the only Boston kitchen renovation companies that doesn’t demand full payment up front! We require only a 25% down payment when you sign a contract, and then another 25% when cabinets and other materials arrive. You keep the remaining 50% until every detail of your custom kitchen renovation is completed! We also offer an On-Time Finish Guarantee, meaning that if we don't deliver, we PAY YOU until the job is complete. Yes, you read that right. 1. NOT PRE-SCREENING YOUR CONTRACTOR. We have an A+ Rating on BBB and 5-Star Rated across all online channels. 2. NOT GETTING AN ON-TIME FINISH GUARANTEE. When you work with us, you will receive an on-time finish guarantee. This is essential and we work with you to get this clear right away. Being a third generation Home Improvement Expert I have seen and heard every contractor trick in the book and quite frankly it makes me sick! That is why I decided to write my Best Selling book “The Ultimate Guide To Hiring The Right Contractor”. My book pulls back the curtain on the home improvement industry and reveals all of the dirty little secrets that they don’t want you to know. It also tells you exactly how to avoid each and every trick or scam, step by step. Get Your Dream Kitchen Remodel in Boston 100% Risk Free! When you decide to move forward with a new kitchen or bathroom remodel, you can rest assured that you will NOT be overpaying for your project. At Risk Free Kitchen Remodeling Boston we also guarantee that the job will be done on time and on budget, no matter what. Risk Free Kitchen Remodeling Boston works throughout the Boston, Metro area and surrounding suburbs. We are proud to be able to build and deliver dream kitchen renovations year after year and to be able to serve a wider range of customers.